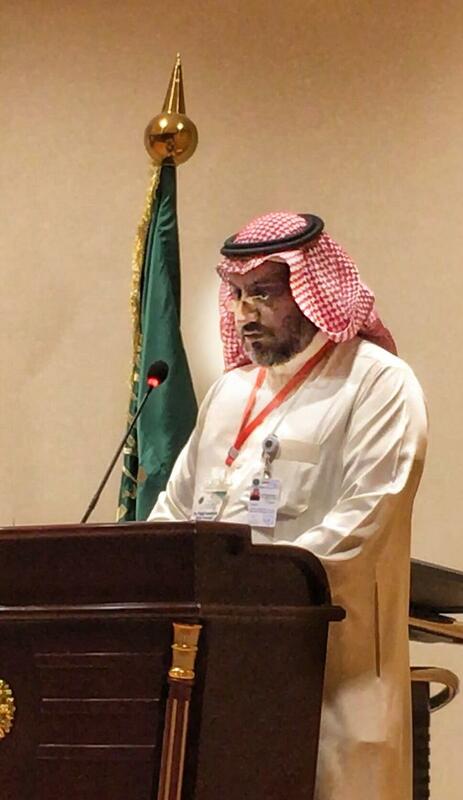 The events of the Second Saudi Conference for Clinical Toxicology, organized by the Department of Pharmacology and Toxicology at the UQU College of Medicine, in collaboration with the Maternity and Children's Hospital in the Holy Capital of Makkah Al-Mukarramah, were concluded. The conference was held for three days, from 5 to 7 March 2019 A.C., under the chairmanship of the Head of the Department of Pharmacology and Toxicology at the UQU College of Medicine, Prof. Sa`id Al-Ghamdi. Continuing to hold the conference annually in Makkah or in other parts of the Saudi Kingdom, in accordance with the readiness and in cooperation with the organizers and hosts. Gathering statistics on cases of poisoning for all regions of the Saudi Kingdom, especially in Makkah as a model, calculating incoming cases to the Poison Control Center in Makkah during the last ten years, in order to study the best ways to deal with these cases and reduce their spread. Establishing units to treat cases of poisoning in the central hospitals in Saudi Arabia, beginning with the Maternity and Children's Hospital in Makkah as a model to follow. Establishing a Saudi Scientific Society for Toxicology, which will include all specialists in this field. Its tasks will include the establishment of a specialized scientific journal, the establishment of training courses and periodic conferences, and the preparation of awareness bulletins. Establishing postgraduate programs in Saudi universities in various sub-disciplines of toxicology, such as clinical, forensic and other sub-disciplines. Regulating and legalizing the use of medicinal herbs in spice shops and other shops by putting them under considerable administrative control in the Saudi Kingdom, in order for these herbs to be sold, disposed and used in safe ways. Developing training courses and awareness programs within the social responsibility programs to raise awareness of the damage of some substances that are circulated among the general public and have serious toxic effects, and how to deal with them safely. Controlling the sale of alcoholic products, especially to perfume factories, with strict control of their products, similar to the strict control procedures done to water bottling plants. Raising the awareness of the physicians in hospitals, especially pediatric hospitals, about the need to ask for tests to measure the amount of aminoglycoside and vancomycin drugs in the blood, due to their importance.